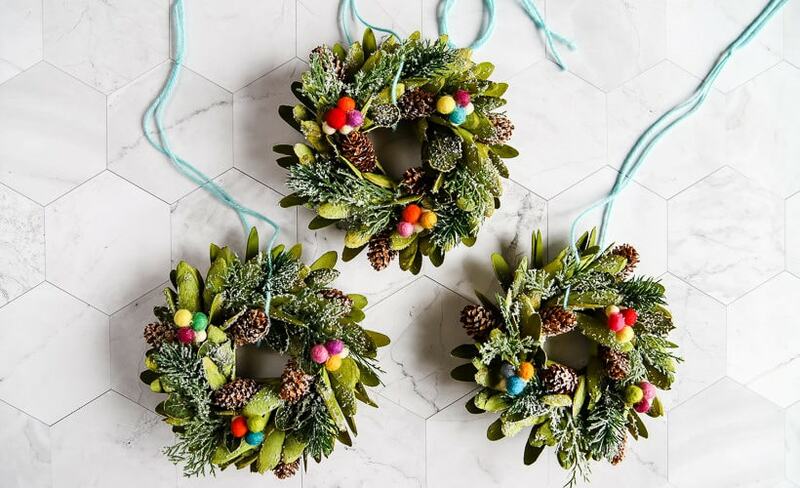 Mini wreaths can be such a cute and festive touch when decorating for Christmas. 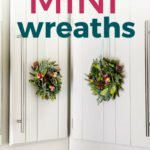 We added mini wreaths to our kitchen cabinets this year, and they are my new favorite thing! 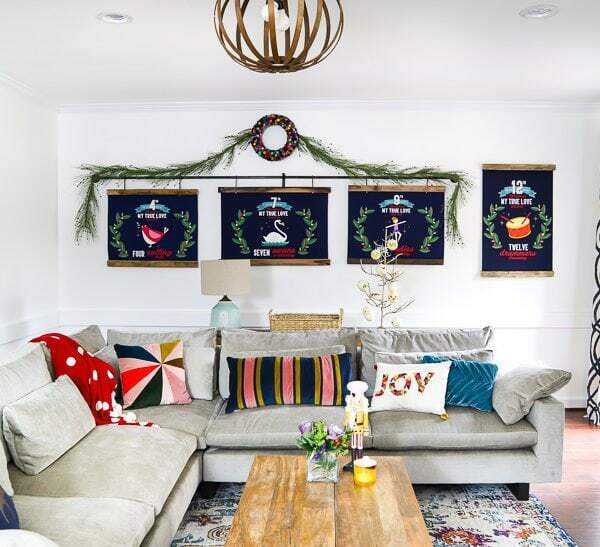 In this post, I share how we customized and hung our mini wreaths, plus I've rounded up the cutest mini wreaths out there that you can buy! Do you decorate your kitchen for Christmas? What about your interior doors? Or even small windows? 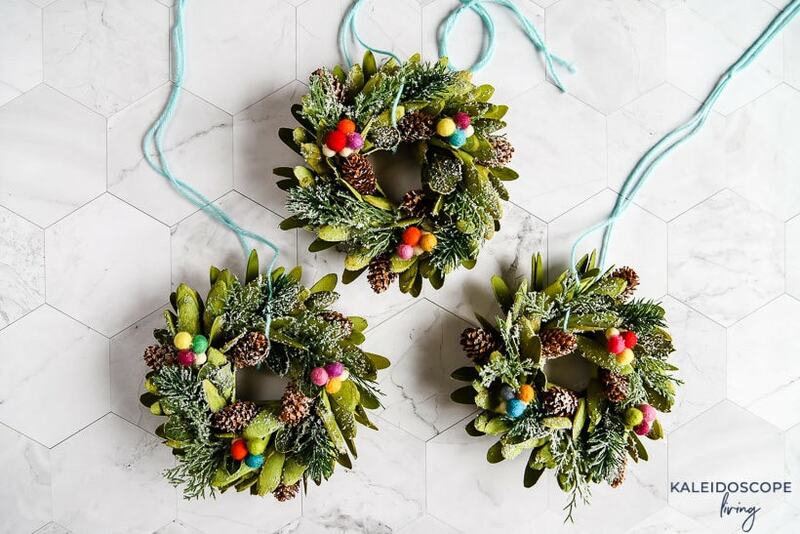 Mini wreaths are the perfect way to add a Christmasy touch to your home and they are so versatile. I have to admit, this is the very first year we really decorated our kitchen for Christmas. And it may seem strange that we bothered decorating it this year since it's our least favorite room in the house and we are going to be gutting it early next year. But even though we don't love our kitchen a ton, we totally transformed it almost 5 years ago by painting the kitchen cabinets without priming and sanding, so we are PROUD of our kitchen. So we figured we may as well give it a festive touch this last year before we go totally changing it. 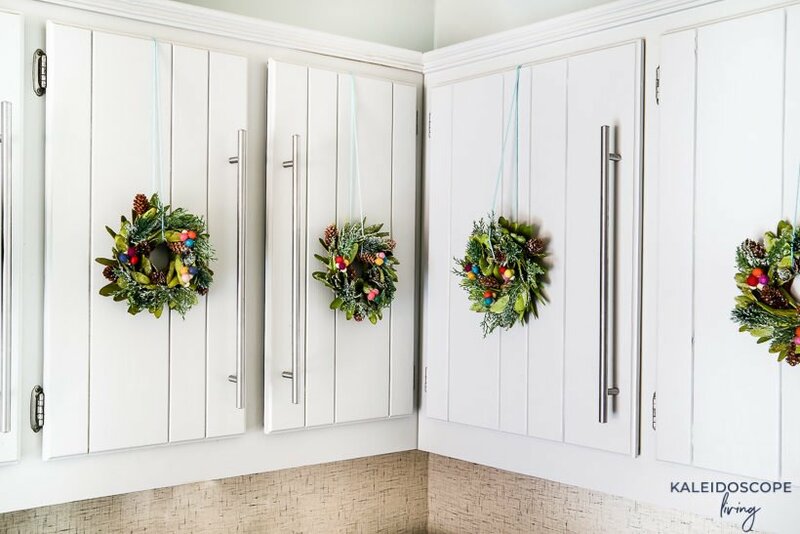 My favorite touch in the kitchen are these mini wreaths that we added to our cabinet doors. It was a quick and relatively low-cost option and we love how it looks! 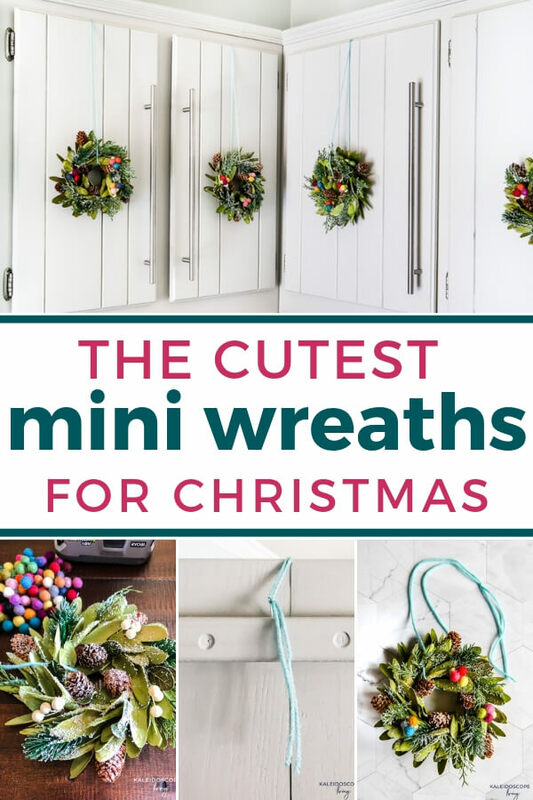 I'm going to show you how we did ours in a minute, but before I do, let me share with you some of my favorite mini wreaths that you can purchase for yourself. Just scroll through the options below and click on any image for full product details. 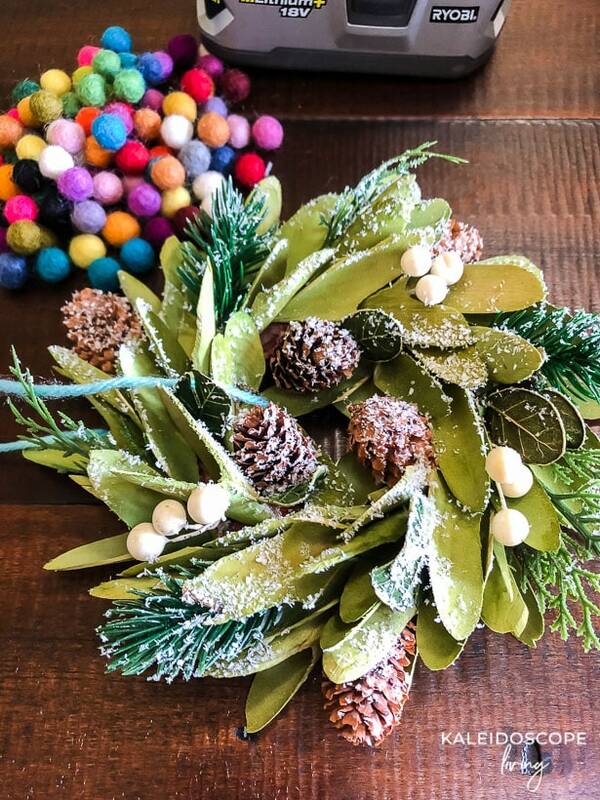 1) Use your hot glue gun to glue your colorful felt balls onto your mini wreaths. I glued the felt balls over the white berries that were already on the wreath. 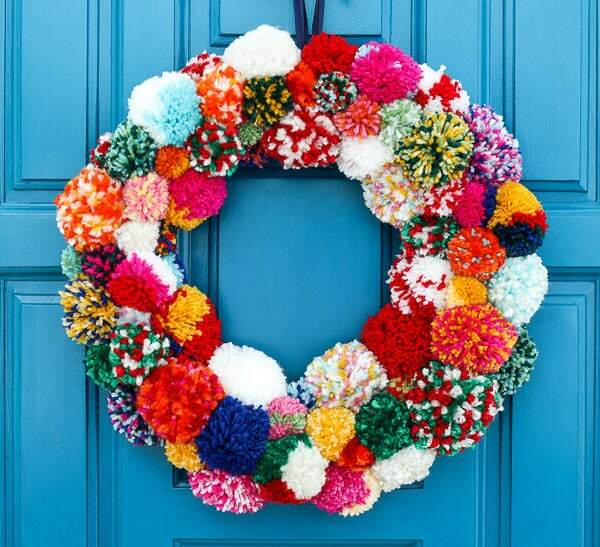 I used 9 felt balls per wreath. 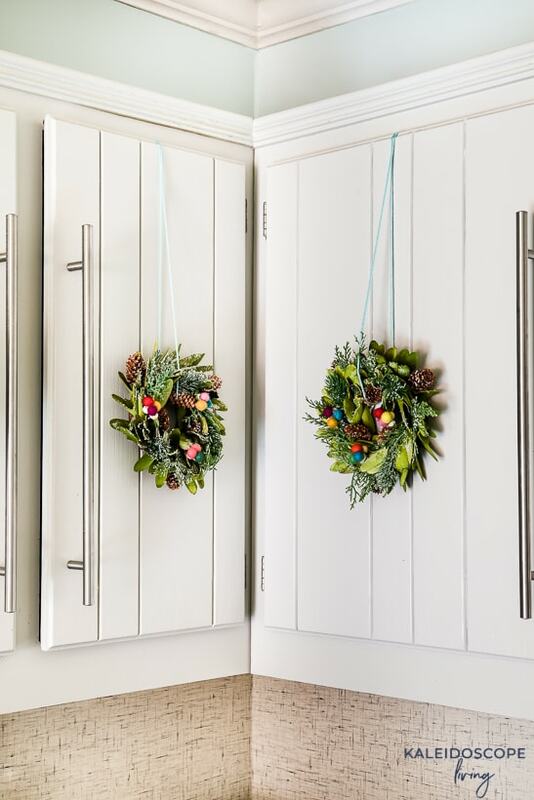 2) Decide how you are going to hang your wreaths from your cabinet doors. I added small nails to the back of the door, but you could usecommand strip hooks if you prefer. 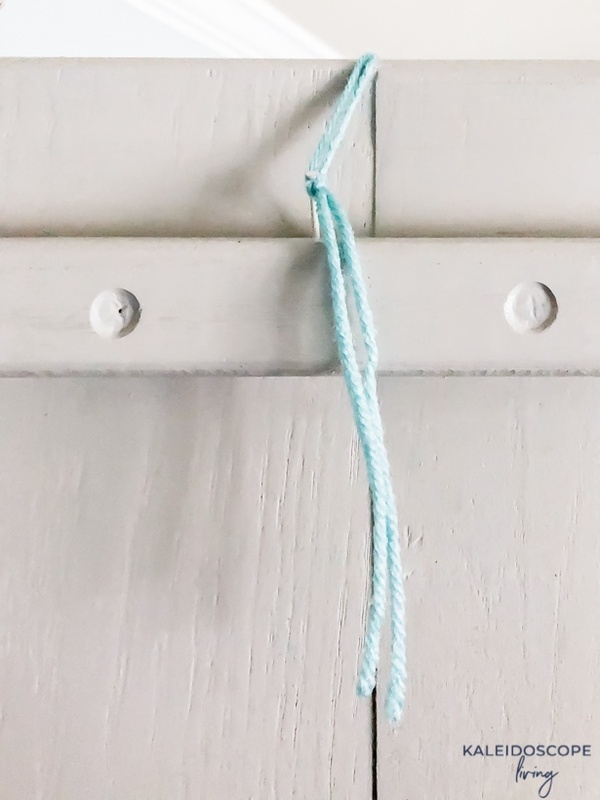 Then measure the length of yarn or ribbon you need for your mini wreaths to hang at the height you desire. Cut your first piece to length and use it as a guide to cut all of your others. Tie your ribbon or yarn around your mini wreaths and hang them up! What do you think?! Simple and easy, right? Now before you head out, be sure to grab one of my absolutely free design guides! 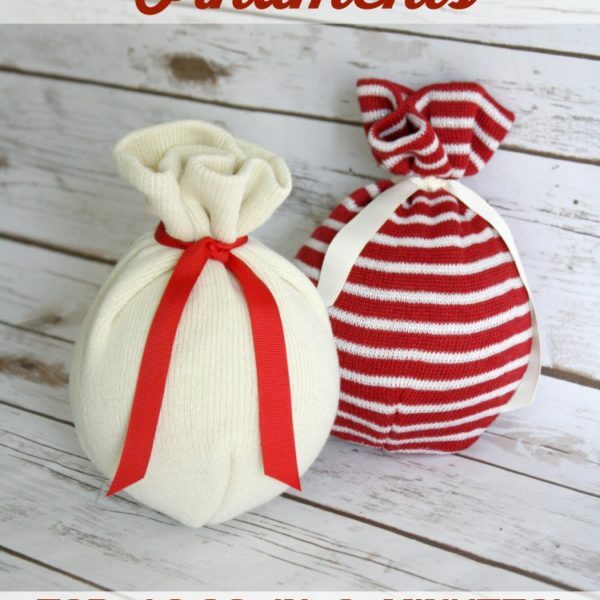 How to Make Sweater Ornaments for $2.00 in 2 Minutes!